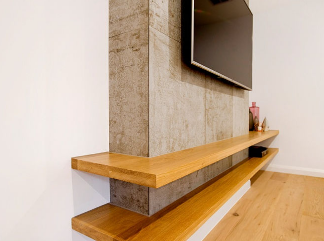 Even in modern Kitchen designs, timber presents as a striking contrast. 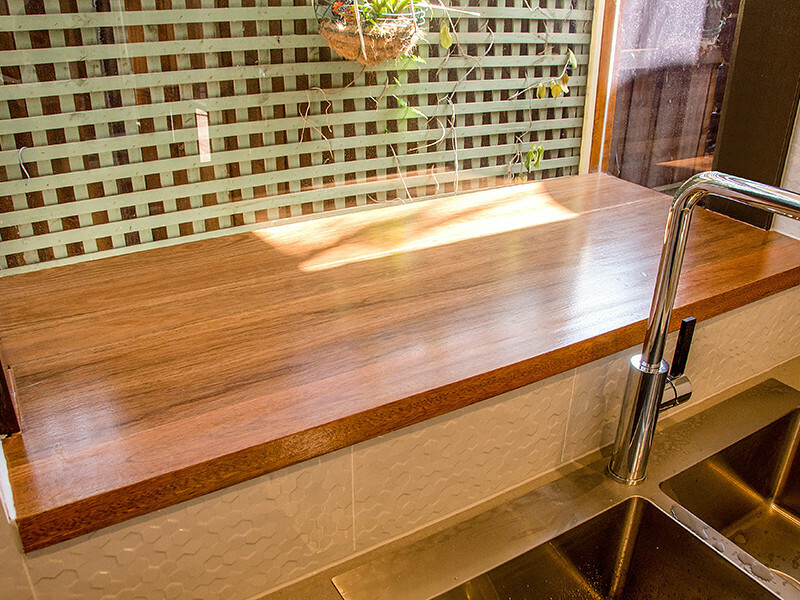 In this bathroom, Spotted Gum timber was used as the timber of choice for the vanity benchtop. 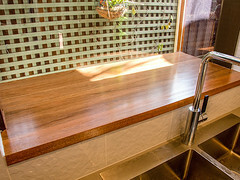 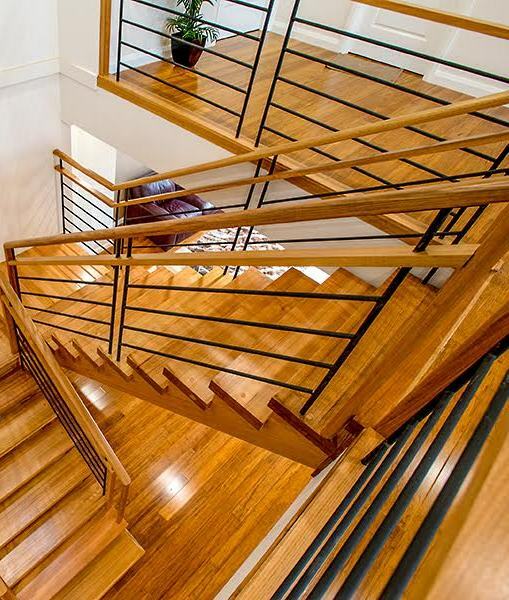 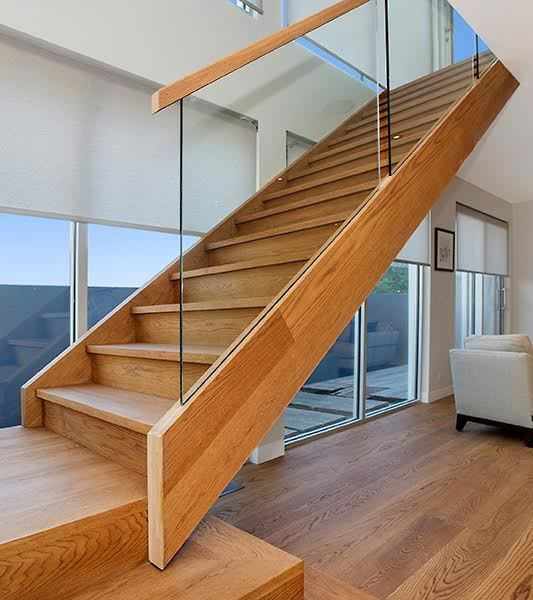 Signature Stairs made the benchtop using its specialist joinery capability, with the installation by us.